Having selected and purchased a site years before as a location for a bank branch and with the growth of the City of New Braunfels, the timing for the move finally came. 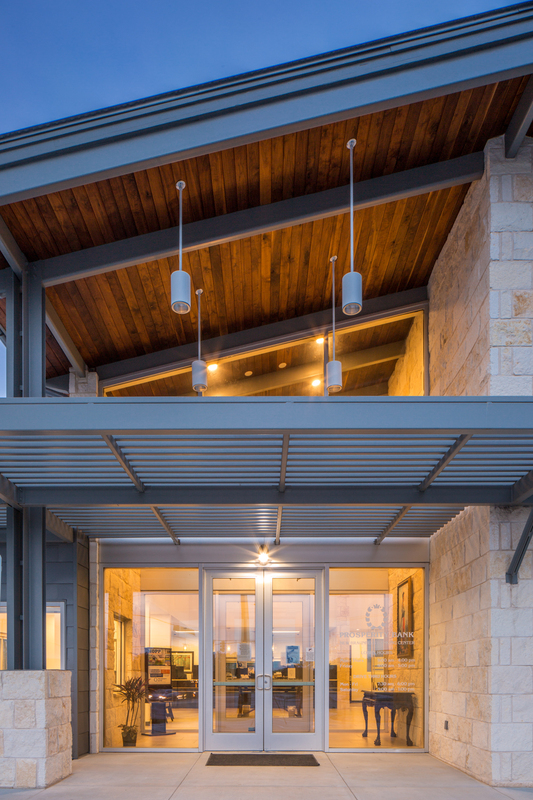 LEVY designed the new site for the Prosperity Bank branch in New Braunfels, Texas. The siting of the building was driven by the large heritage oak that features prominently on the north side of the site. An outdoor deck below the oak tree provides space for relaxation and meetings. 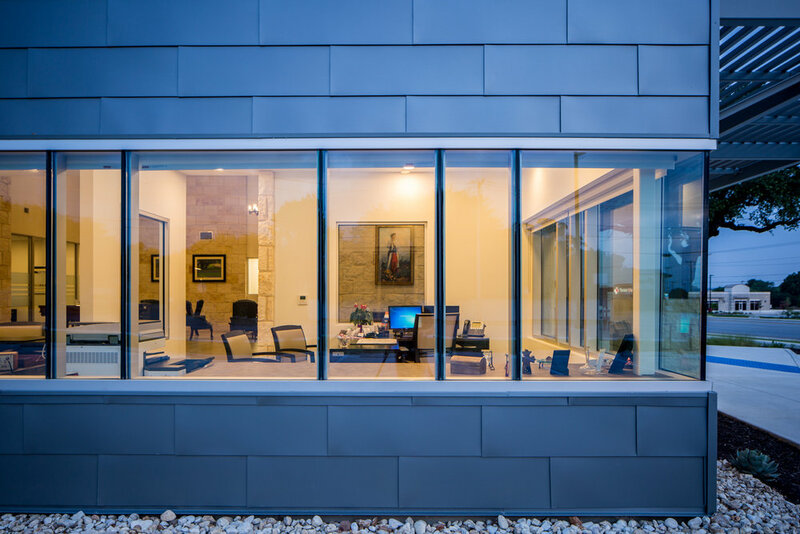 The building uses a material palette of chopped limestone, a stucco veneer and metal panels with strategically placed glazed openings. The centerpiece clerestory, at the main entry and teller lobby, floods the room with natural light creating a welcoming space for both bank customers and employees. Behind the scenes, by using a combination of VRF, heat recovery and rooftop units, the mechanical system saves up to 40% energy in comparison to traditional HVAC design's.